Alex Jones has helped launch BBC Children in Need’s Do Your Thing fundraising campaign, encouraging people in Cardiff to channel their passions, hobbies or dreams to do their thing and help change the lives of disadvantaged children and young people all across the UK. 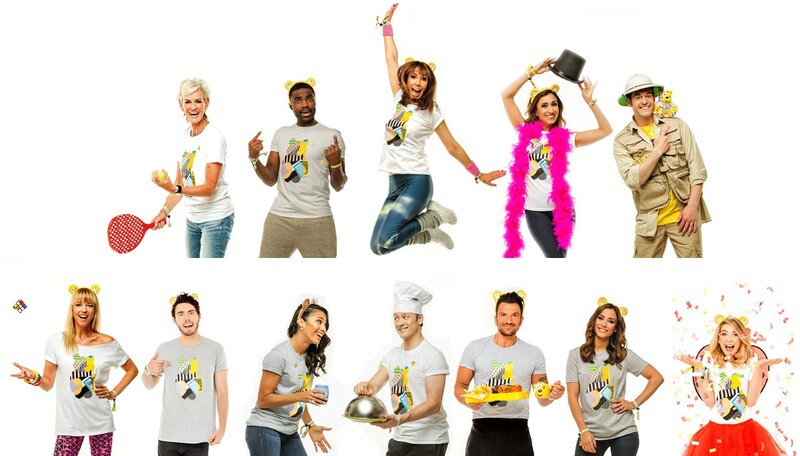 The television presenter is joined by a host of famous faces from British entertainment including Matt Baker, Anita Rani, Ore Oduba and Judy Murray – all of whom have come together to inspire the nation to get involved and fundraise for BBC Children in Need. From fancy dress to fun runs, facing a fear or taking on a once in a lifetime challenge, holding a bake sale or completing a sponsored silence, everyone can turn the thing they most fancy doing into an amazing fundraiser. Each year, money raised by the Appeal goes on to help children and young people in communities across Wales who are affected by a range of disadvantages including homelessness, neglect, deprivation, illness and bereavement. In Cardiff, BBC Children in Need currently funds 19 projects to the value of £1.1million. Safer Wales, based in Cardiff, receives BBC Children in Need funding to provide a specialist service to young women who are, or who are in danger of being, sexually exploited. The project helps to increase the young women’s safety, by encouraging them to build better relationships with trusted adults and engage more with training and employment options. YMCA Cardiff currently receives BBC Children in Need funding to provide respite opportunities, offer support and help develop the life skills of young people with caring responsibilities. This project will help grow the young people’s confidence, self-esteem and skills set. The official fundraising pack is available now for download at bbc.co.uk/Pudsey and is filled with ideas to help the public with their fundraising efforts, plus lots of exclusive content from the Charity’s celebrity friends. To date the Great British public has raised £848million for BBC Children in Need and the Charity is calling on people to once again pull out the stops and fundraise to give children and young people across the UK reach their fullest potential!